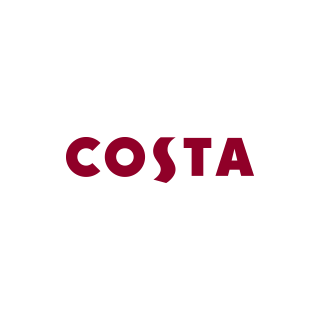 There are only three Italian Master Roasters in the UK – and they all work for Costa Coffee. They ensure that our coffee is slowly roasted the traditional way, using our unique blend of beans for a fuller, heartier flavour. To stay at the top of our game, we focus on quality control at every stage of the process, from bean to cup. And unlike any other company in the UK, we roast our own beans to ensure the unique blend is perfect every time. Hot and cold drinks and tasty food in a comfortable environment.